This spring, the first grade raised Painted Lady Butterflies! 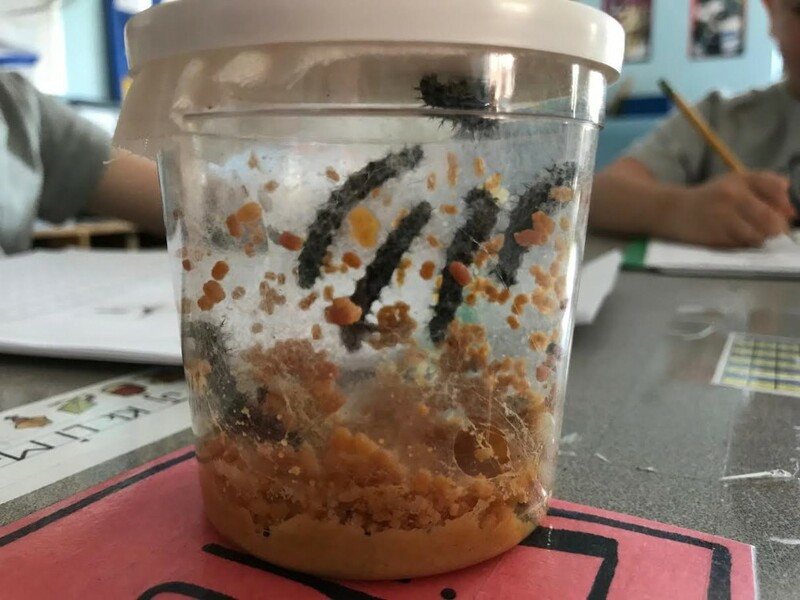 From larva (or caterpillars) to full adult butterflies, the students observed the ever-changing metamorphosis that these fascinating creatures go through. Part of the first grade's Life Science unit, these butterflies allowed the class to notice that change is all around us – in nature and in our own lives. They arrived to the classroom as newly hatched from their eggs. The first graders then learned about their life cycle stages and about the parts of a butterfly while reading different literature and nonfiction books. After living in the classroom for approximately one month, the butterflies were released into nature for the life cycle of these amazing insects to begin again.